I recently received two very unexpected handwritten thank you notes: one from my dental hygienist, and one from the saleslady at the local lingerie store. This definitely got me thinking about gratitude along with when, why, and how people express it. 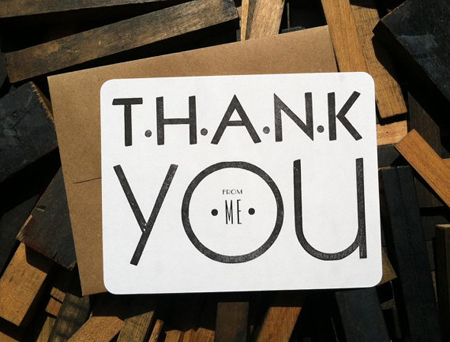 I am grateful for many things in my life, both personal and professional (including clean teeth and a well fitting brassiere), but I definitely don't say thank you as much as I should, and I don't send thank you notes as much as I could. 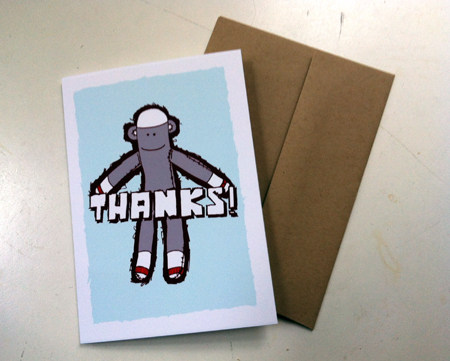 In an effort to do both with increased frequency, I commissioned Boston Handmade member Aaron Kovalcsik of Monkey Chow to create a set of thank you cards that I could send on behalf of Boston Handmade to the many people who help our group support local artists and craftspeople in countless ways. 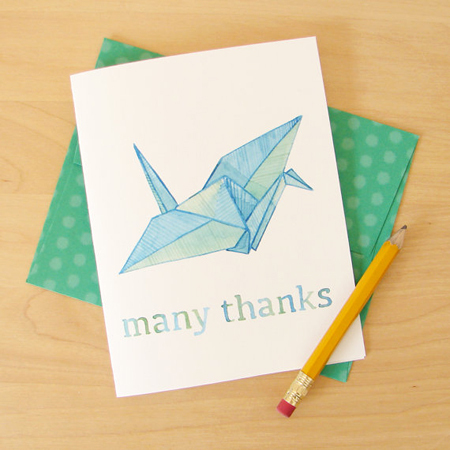 Thank you Aaron for creating such a perfect note card for us! I often feel like handwritten notes are a dying art. 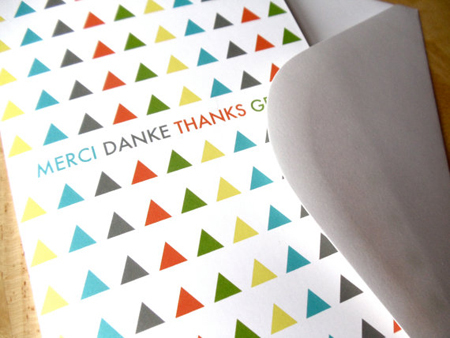 I love receiving handwritten thank you notes, they have become so unexpected!